November - it's time to go to Sochi in order to fully enjoy the wonders that happened with this city in recent years. When winter in the Central part of Russia gets closer and we can still soak up the warm sun. First, at this time in Sochi is still excellent weather. In the beginning of the month the air can warm up to +20oC, forcing desperate travelers to get into the sea. Second, a long weekend on the occasion of national unity Day and the holidays for students - all this has to make the trip this November. The best option would be to fly. 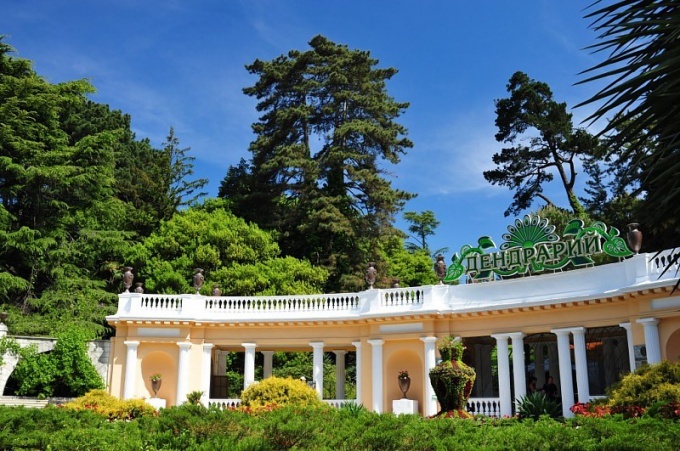 The flight from Moscow takes you to the resort in just 2 hours. To save on tickets, book them in advance. If you have time, you can use the services of Railways. In this case, the way you have to spend about a day, if the starting point of the route is Moscow and her surrounding regions. Same amount of time you spend on the road, going by car or bus. You can stay in both network and mini-hotels. The second option will allow you to save considerably. So, in November the rate of one person in the mini-hotel is about 300-400 rubles per day. Double room in the hotel network is about 1800-2000 rubles. Advice from seasoned travelers: if you came to see the Olympic sights of the resort, will stop better in the afternoon. Anyway, between the Olympic Park and Krasnaya Polyana there is no direct train. You will have to do the transplant just in Adler. 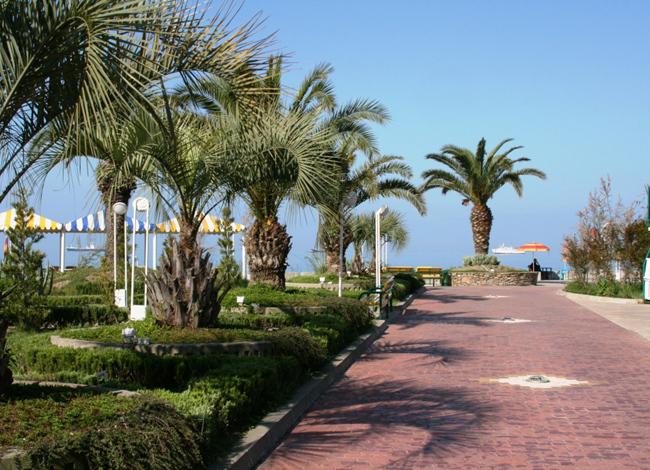 Of course, the first step is to stroll along the promenade. You can walk, but better on the bike, because the forces are more useful to you. On the waterfront, all the conditions perfect for Cycling: there are very long bike path. Holidaymakers also enjoyed success such vehicles as Golf cars, Segway. 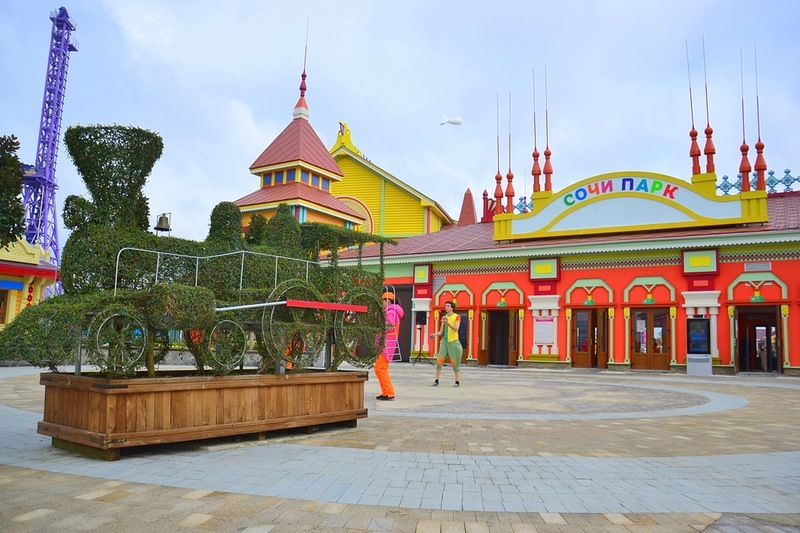 Nearby is a small Russian Disneyland - entertainment complex "Sochi Park". If you come with a child, it is a must place to visit. The starting point in the Olympic city tours have become the Olympic Park, which in the days of the Games-2014 was hosted athletes and guests from all over the world. Now it still impresses with its enormous size and grandeur. In the heart of the Park is the "Medal Plaza" - the main square. 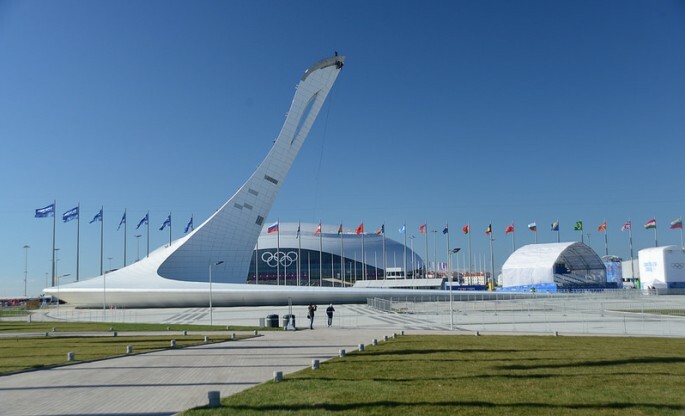 Along its perimeter built flagpoles with flags of States-participants of the Olympiad, and in the center stands a massive building with the torch of Olympic flame. The area is framed by the stadiums where Olympic athletes competed for the title of best. Six of them, and each, like the dome of the Cathedral of Vasily the blessed, is not like the others. Huge stadium "fischt", containing within its walls 47 thousand people, is reminiscent of a snowy peak. Ice Palace "Big" is built in the form of frozen drops, standing near the arena "Puck", Curling center "Ice cube" and standing at the entrance of the stadium "iceberg" for its architectural appearance underline the title. The sixth is the stadium "Adler-arena" - a large-scale building in the shape of an oval, a speed skating track. That delights the November Sochi is not over. Every tourist can find in this city of entertainment and beautiful places for a pleasant stay.